Since the late 2000s, growth in hydraulic fracturing has created a new demand for sand deposits around western Wisconsin. Of highest value is hard, fine-grained sand perfect for cracking underground rock formations that hold oil and natural gas. But beyond the short-term economic ups and downs that come with any activity tied to the energy industry, what happens over the long run at the sites where frac sand is mined? Barron County sits at the northern end of western Wisconsin's frac sand belt. The frac sand boom began to make its mark there between 2008 and 2010, before slowing down a bit in 2016. A variety of operations in the county mine for frac sand - a form of industrial sand called proppant in energy-industry parlance - or for sands and gravels used for other purposes, like road construction. State, county and local governments that regulate frac sand and other operations categorize them as "non-metallic mining." Officials are not just concerned with what happens while a mine is actively extracting resources, but also with how operators recondition the land when things wind down. The process is called reclamation, and is intended to prepare the site of a non-metallic mine for whatever use may come next. Bronson Thalacker is a technician and specialist with the Barron County Soil and Water Conservation Department. He monitors non-metallic mines to make sure their operators comply with the Barron County Non-Metallic Mining Ordinance and the rules in chapter 135 of regulations enforced by the Wisconsin Department of Natural Resources. Thalacker outlined the reclamation process for non-metallic mine sites in a July 31, 2015 presentation at the Barron Area Community Center in Barron. His talk was recorded for Wisconsin Public Television's University Place. Thalacker detailed where reclamation fits into the overall process of permitting and regulating mines, what regulators look for in a successful reclamation project, and even some of the finer points of reshaping a well-used plot of land, like drainage and bringing in new soil. As detailed in a DNR map of industrial sand mines and processing plants, as of May 2016 only mining sites in the state had completed reclamation or were in the final stages of the process. 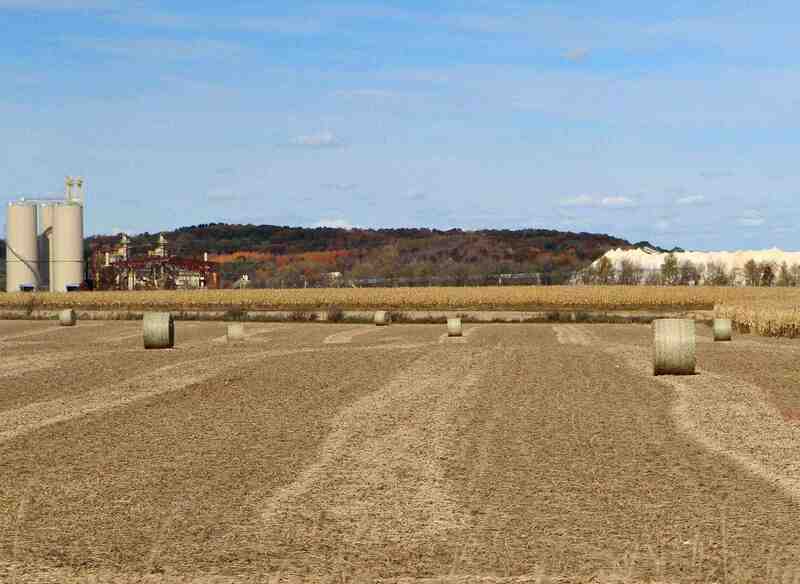 While reclamation is still a fairly new process, Thalacker did discuss how some former sand- and gravel-mining sites in Barron County were converted to other uses. Non-metallic mining is defined as extracting stone, sand, rock or similar material from natural deposits, and has been conducted in Wisconsin for more than a century. As of July 2015, Barron County had 67 sand-and-gravel mining operations, covering 1,993 permitted acres, 790 of which were being actively mined. It had fewer frac-sand operations - 17 - but those covered more land, with 4,648 permitted acres, of which 1,038 were being actively mined. The DNR's current regulations covering sand mining were adopted in 2000, well before the ongoing frac-sand boom. To secure state and county permission to operate a non-metallic mine, operators must have a reclamation permit. To get such a permit, they must have a reclamation plan. These plans tend to be extensive and have detailed information on the mining site and its geology, its historical background and existing structures, and endangered species living in the area. Reclamation plans must define goals in quantifiable terms, like plant density or diversity, or agricultural productivity. The goal of reclamation is make the land usable again for some purpose. The process involves removing refuse, grading the site (that is, changing its topography with bulldozers and dirt trucked in from elsewhere), stabilizing soil conditions, reestablishing vegetative cover, controlling surface water and groundwater, preventing environmental damage and if practical, restoring plant, fish and wildlife habitat. In Barron County, reclaimed mine sites have become farmland, pasture or forested wildlife habitat. So far, the area hasn't seen a lot of post-mining land use plans that involve golf courses or recreational lakes. One particular mining site in the county is to be converted to a dry northern forest with trees like jack pine and pin oak. Another sand-and-gravel site was converted into a mix of farmland for alfalfa and grassland wildlife habitat. Barron County has some local authority over non-metallic mines - including the ability to shut them down or fine operators under certain circumstances - but the DNR's regulatory authority is still paramount, and the county submits an annual mining report to the agency. On the importance of getting reclamation right, for both mine operators and regulators: "Once you certify successful completion, you can't go back." On the importance of vegetation to the reclamation process: "We really like to see things green up. Need to get those roots down into the soil and stabilize everything to prevent it from washing out." On why county officials make mine operators submit "financial assurance" (essentially a deposit) to cover the cost of a reclamation project. "If the operator chose to walk away from the mine site, this is Barron County's security blanket." If a mining site goes beyond its permitted borders: "In this situation, Barron County has the authority to shut the operation down and issue a citation." This post was originally published on WisContext, which produced the article in a partnership between Wisconsin Public Radio, Wisconsin Public Television and Cooperative Extension.